When the couple purchased their home two years ago, they didn’t have children yet but knew they would eventually want a more family-friendly kitchen. 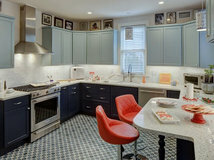 The original space was poorly laid out and impractical, with a tiny pantry and just a two-seater island. 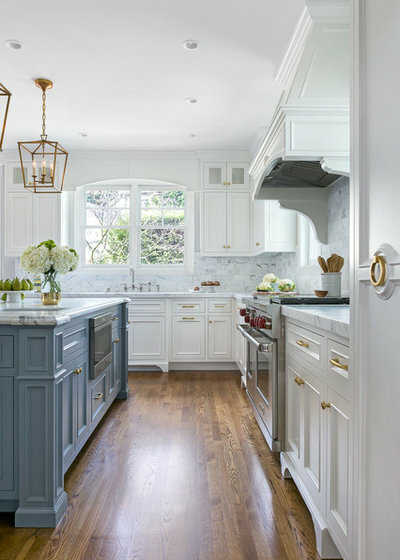 Designer Christine Sheldon’s first move was to knock down the wall separating the pantry from the kitchen to create a more open feel. 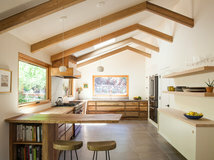 Along with removing the wall that was directly to the right of where the new island begins, Sheldon removed a window to align the new gas range with the center of the island. 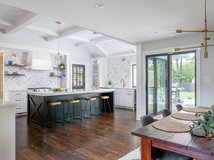 The husband, who works as an engineer, is a home chef with a preference for a clean, streamlined aesthetic, so Sheldon’s foremost goal was to create a functional cook’s kitchen that would look like a showcase kitchen. 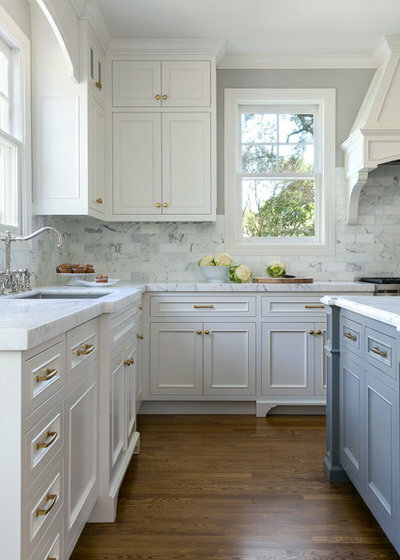 This meant sweating the details and building in clever storage to ensure that the counters would be clear and that even the backsplash would be uncluttered by wall outlets. 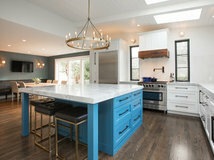 To choose the color of the island, the wife spent many hours on Houzz, sending photos of green, blue and gray cabinets to Sheldon until the two finally landed on a soft blue to coordinate with the grays and blues in the rest of the house. 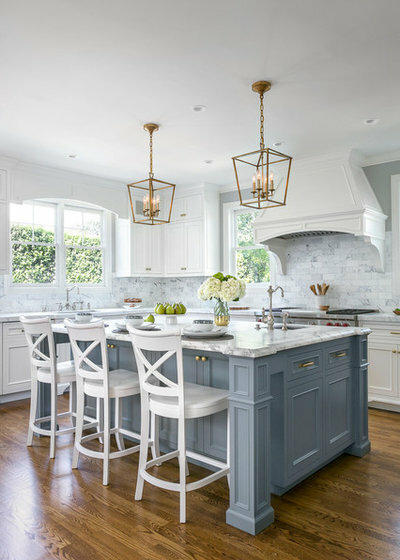 The paint color is a custom mix from Benjamin Moore. 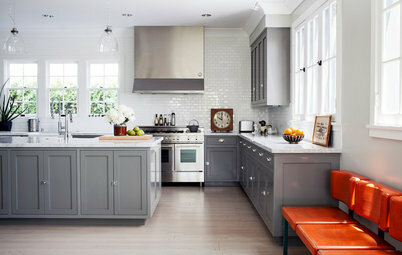 To create it, Sheldon began by pulling 10 to 15 paint swatches and sticking them to the cabinetry. 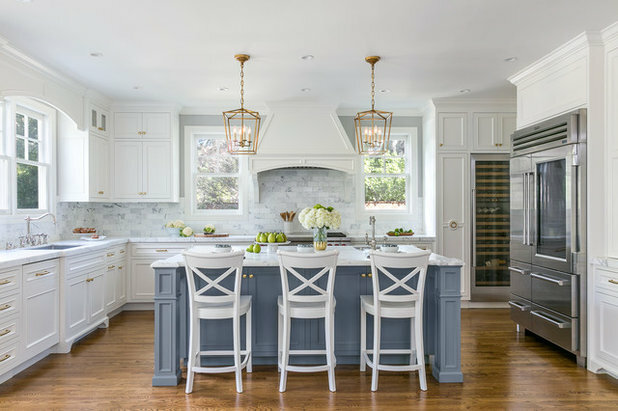 Once she narrowed down the choices to two or three, she painted those colors on the cabinet surface and then had the colors tinted until she hit on just the right mix. 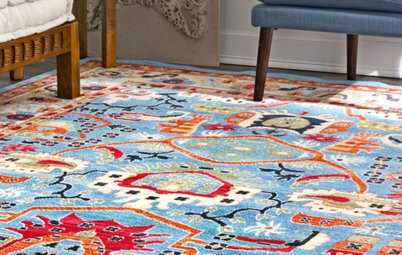 To mix metals effectively, Sheldon recommends using two metal tones and pulling both throughout the home. 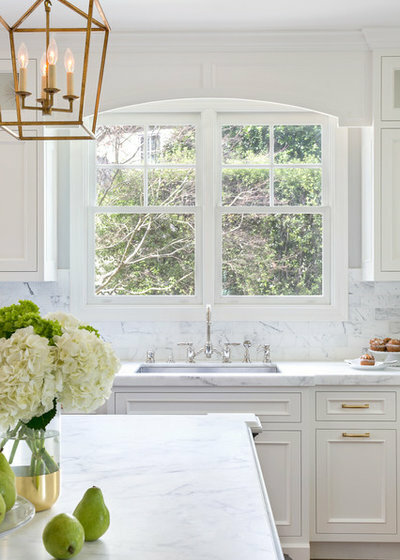 Here, the faucet is polished nickel, while brass graces the cabinet hardware and light fixtures in the kitchen and adjoining rooms. 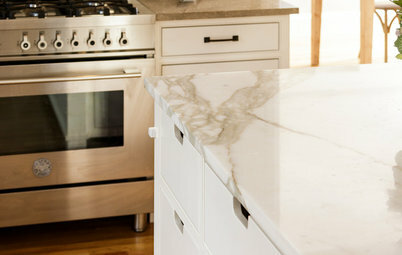 One of the homeowners’ favorite features of the new design is their Carrara marble countertop, which — despite the extra care and maintenance required to keep it in top shape — brings them joy every day. 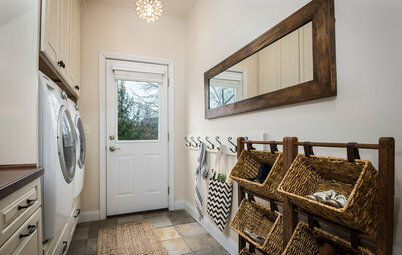 They also like the design of their pullout pantry — to the left of the wine refrigerator, with circular hardware — which allows easy access and maximizes storage space. Since the pantry drawer pulls out, its full contents are visible and accessible from two sides, meaning there is no wasted space and no shadowy abyss, as at the back of a deep shelf in a traditional pantry cabinet. 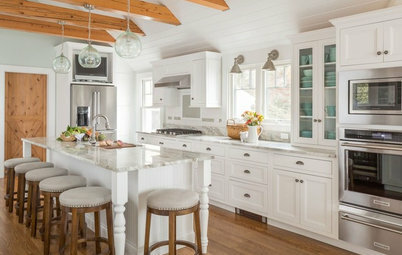 One of the most innovative features of the kitchen is the one that’s virtually invisible: To reconcile the need for electrical outlets at certain intervals along the backsplash with the homeowners’ strong aversion to visual clutter, Sheldon mounted outlets underneath the upper cabinets wherever possible. 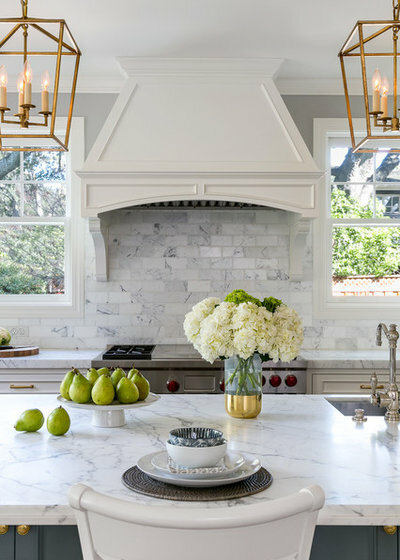 For the few outlets set into the tile backsplash, the team at Fox Marble carefully drilled holes into a handful of the 3-by-6-inch Carrara marble subway tiles to accommodate the electrical components that would be installed behind them. While this is, of course, more expensive and laborious than simply installing traditional plastic or metal wall plates, it’s an excellent solution for those who really hate the look of outlets interrupting the backsplash. 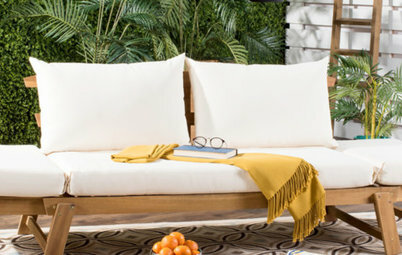 Every detail was carefully considered and designed for maximum functionality and effect, including the countertop edge detail and the molding on the legs of the island. It was important to the clients to incorporate some unexpected details to set their kitchen apart without being too fussy. 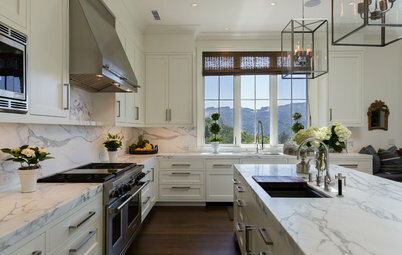 The island mirrors the drawer and door style of the cabinets. 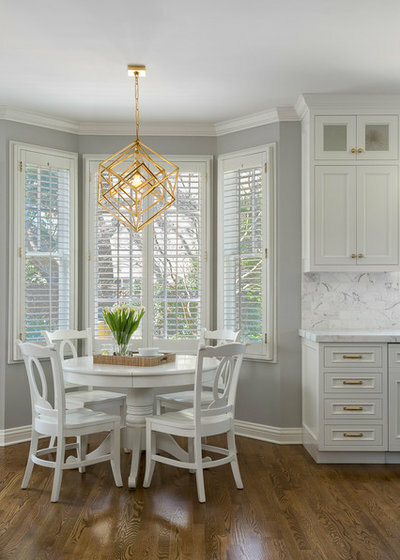 The breakfast nook continues with the clean white-and-gray scheme. A brass fixture from Circa Lighting warms things up and coordinates with the cabinet hardware. How much distance exists between the island and the counter? I'm looking at redo right now but I'm not sure I have enough space nor know what is the ideal distance. 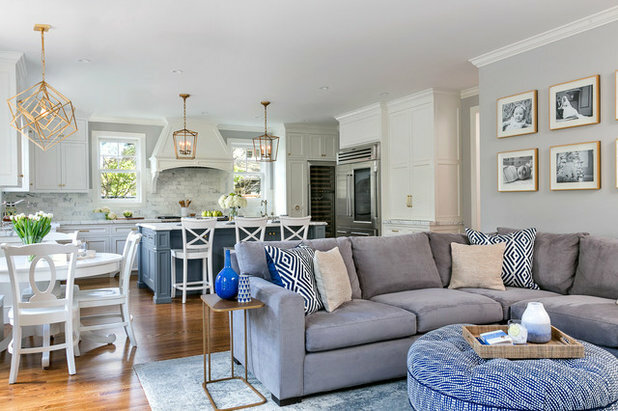 Would really know where to get the bar stools shown in the above picture.